In the society with well industrial and commercial development, people are overwhelmed by work and have no time to take care of personal health while the health care professionals always take care of every citizen without looking forward to any payback. 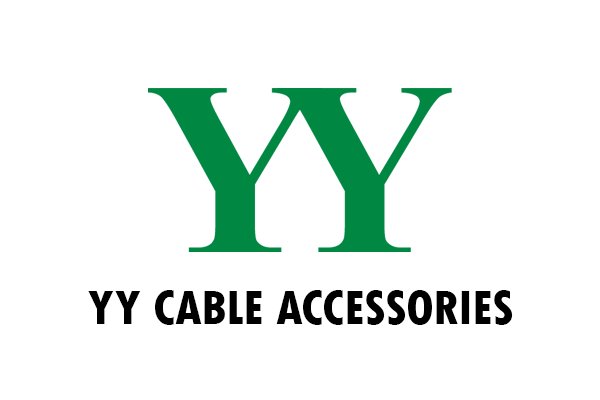 In order to encourage and show the gratitude to the professionals, YY Cable Accessories contributes NT$50,000 in 2014 and NT$100,000 in 2015 so that the professionals are able to do more on medical research and contribute to the community. Every child is the future of our country, their future is unlimited if with proper resources. YY Cable Accessories continues to donate “Bethlehem Foundation” and we wish every child in developmental delay can have better environment and resources to grow up happily and contribute to the society. Our new product “Cable Gland” is certified with UL. We would like to thank you all for trust us and will continue to maintain product quality with our best effort. In the aging society, elderly with Alzheimer's Disease increases year by year. In the spirit of caring, following the last time donation under the name of Lawrence Wu, the General Manger of YY Cable Accessories, this year YY Cable Accessories together with Wu Zun Xian Charitable Foundation donates NT$50,000 respectively, a total of NT$100,000 donation to National ChengKung University Hospital and transferred to Taiwan Alzheimer's Disease Association. We wish to contribute and to assist the elderly with Alzheimer's Disease to be able to live in the environment with quality and dignity. The Kaohsiung Gas Explosion caused huge casualties and infrastructure losses, YY Cable Accessories and all the staff would like to express our condolence to the victims and citizens affected, we wish for those dead rest in peace, and the injured a speedy recovery, while tribute our highest respect to the heros help disaster relief. Based on the spirit of humanity care and taken from society and give back to the society, the Yonyu Group at the very first time donated NT$ 3,000,000 (Yonyu Plastics Co.: NT$1,000,000; YY Cable Accessories: NT$1,000,000, Chairman Mr. Den-huei Wang NT$1,000,000). 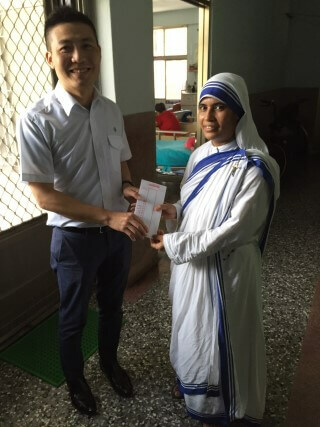 The total donation was transferred to the special account under Kaohsiung Social Affairs Bureau. We hope to contribute to the community rebuilt with our small effort and wish the victims will soon get out of the shadow and rebuild their homeland. Yonyu Group has already established for 50 years! Thank you for your continuous support, we have some special offers on product and would like to invite you to take a glance. It is dismayed and heart-aching when hearing the story of those elderly who live in the Tainan Catholic church with sickness and loneliness. We wish via the monthly donation to the church enables them to stay in a comfortable environment in the remaining years. The new plant construction of YY Cable Accessories has been completed, and the inauguration held on September 16, 2012. 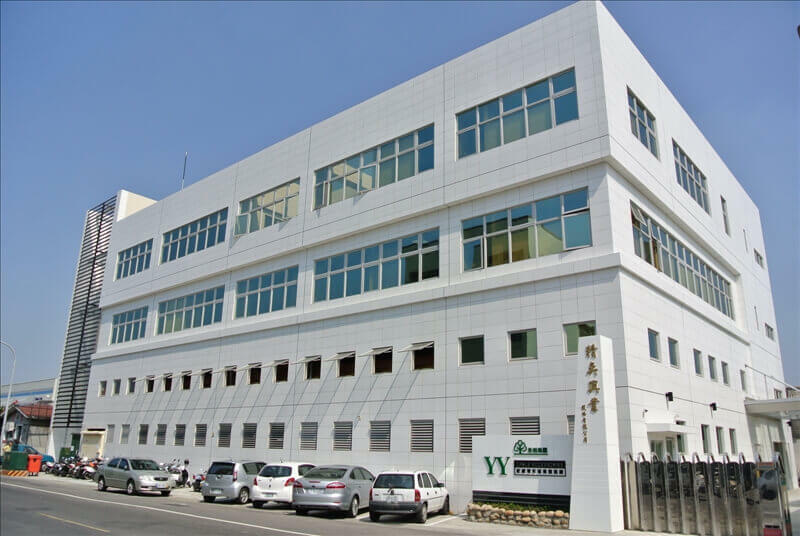 The new plant is expected to enable YY to create new milestone and to inspire morale, and to provide customers with more products and complete services. 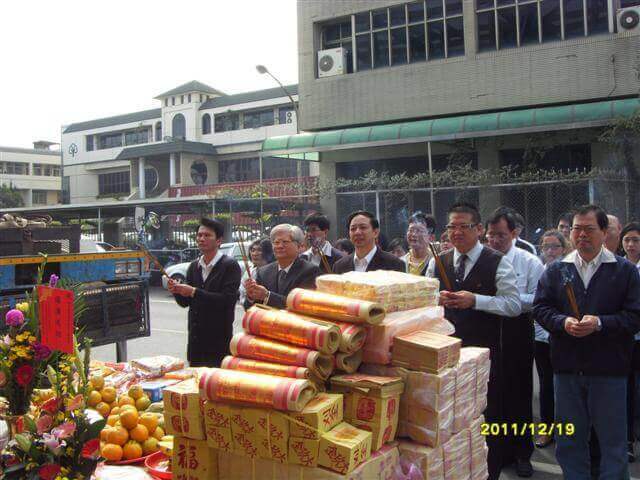 Beam-raising ceremony of YY Cable Accessories’ new plant was taken place at 11am on Dec 19, 2011. Chairman Mr. Den-huei, Wang of Yonyu Plastics, President Mr. Yi-Ren, Wang and General Manager Mr. Lawrence Wu of YY Cable Accessories together with all staff attended the ceremony. The new plant is expected to complete construction and to operate in the first half of 2012. 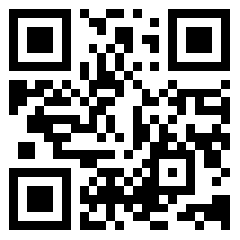 YY hopes to bring dynamic atmosphere as well as superior and professional services to our clients. 311 Tohoku Earthquake in Japan brought heavy casualties and economic losses, as far away as in Taiwan, we empathize and all staff of YY Cable Accessories would like to express our condolence to the victims and citizens affected, while pay our greatest respect to the heros help disaster relief. The groundbreaking ceremony of YY Cable Accessories’ new plant was taken place at 9:30am on Jan 15, 2011. 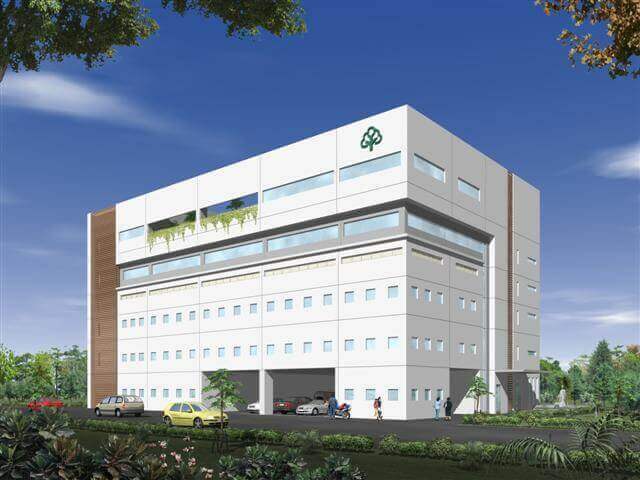 The new plant locates in No. 107, Sheng-li Road, Jen Te Dist., Tainan City and is about 3,636 square meters, which is expected to complete construction and to operate in the first half of 2012. We expect the inauguration brings new and dynamic atmosphere as well as set up new milestone.